Paulo Dybala was exceptional at Turin last season. He scored 26 goals and registered 7 assists from 46 games in all competitions and lit up the Serie A. He registered 3 hat-tricks in the Serie A, despite missing almost a month's action due to a Hamstring injury. Dybala was Juventus' talisman and was expected to hit a higher gear this season. Unfortunately, things have not worked out for him so far. The Argentinean has still scored 9 goals and registered 6 assists from 36 games so far in all competitions, including a fantastic hat-trick against Young Boys in the UEFA Champions League. But Dybala has failed to take his game to the next level this season, for various reasons, and maybe a move away from Turin could actually help him right now. This is where Manchester United come in. They have been known admirers of Dybala and have the financial power to make the move happen. The Argentinean could actually thrive at Old Trafford and here are 5 reasons why he should sign for Manchester United. The Argentinean is a player who loves a bit of creative freedom on the field. As such, Solskjaer's tactical system at Manchester United would certainly suit the Argentinean. 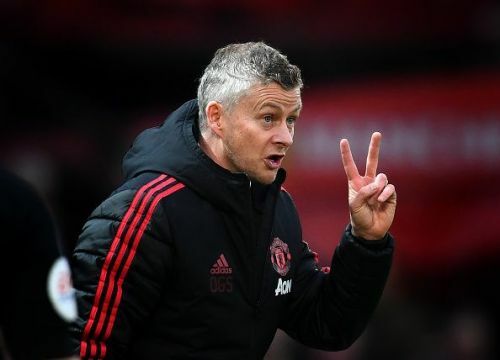 With the recent run of games and the manned in which he has turned United's season around, Solskjaer is almost certain to be named the permanent manager at Old Trafford in due time. This means that Dybala has the chance to team up with the Norwegian in the summer and it is a union that could work magnificently for both parties. Solskjaer loves a flexible style of play, where his front men interchange positions and work as a unit to go for the kill. Dybala, ideally, could be at home in a such a system, where his wonderful ball control and exceptional skills would be allowed to flourish. The movement in front of him would also allow him to pick a pass or cut inside and take a shot at goal, something very few players in the world are better at. Under Solskjaer's attacking tactics, Paulo Dybala would be allowed to play his natural game and this is one of the reasons why the Argentinean should make the move to Old Trafford.